Carey Price memorabilia will include donations from his parents, including a rare framed print of the all-star goalie from his MVP season (2014-15) in the NHL. The BC Sports Hall of Fame is on the verge of opening a much larger gallery to honour Indigenous athletes. Back in 2008, the hall of fame introduced a 300-sq. ft Aboriginal Sport Gallery. That’s because on Sept. 25 there will be an opening ceremony for the hall’s renamed Indigenous Sport Gallery. Many of the athletes that will be featured in the new gallery, as well as their families and friends, will be invited to the opening ceremony. Members of the public will be able to see the gallery starting the next day. At 1,500 sq. ft. the new gallery will be five times larger than the existing one. The BC Sports Hall of Fame will continue to be housed inside BC Place, a stadium that is also home to the Canadian Football League’s BC Lions and the Vancouver Whitecaps of Major League Soccer. Beck said he believed for some time there was a need for more space to detail Indigenous sporting greats at the hall. “It was always in the back of our minds that there were more stories here,” he said. The new gallery will feature displays and memorabilia from more than 40 athletes. Two of the more prominent athletes that will be featured in the hall are late runner Tom Longboat and former hockey player Fred Sasakamoose. Longboat was from the Six Nations in Ontario while Sasakamoose is from Saskatchewan’s Ahtahkakoop Indian Reserve. As for Sasakamoose, officials from the National Hockey League have long considered him to be the first Indigenous person to play in the league. Some recent stories, however, speculate others with some Indigenous ancestry suited up in the NHL before Sasakamoose. “We’ve taken the stance Fred is one of the first (Indigenous) players in the NHL and worthy of being recognized,” Beck said. It’s not just household names that hall officials are looking to honour. The current gallery includes a game-worn jersey of Carey Price, the Montreal Canadiens’ goalie who was born in Vancouver but started playing organized hockey in Williams Lake, B.C. Price’s parents Lynda and Jerry are currently living in Williams Lake. Beck contacted the couple to see if they were willing to loan any more of their son’s items for the soon-to-be expanded gallery. Jerry and Lynda Price, parents of Carey Price. As a result, Beck himself drove from Vancouver to Williams Lake and then back – an estimated 12-hour round trip – to pick up valuable Price memorabilia from his parents. Beck returned with five items, including a goalie mask Price wore that features Indigenous artwork. The Price family also loaned a goalie stick, a glove, a blocker and a rare framed print of the all-star goalie from his MVP season (2014-15) in the NHL. Beck believes these items will be some of the more popular ones once the new gallery opens. Beck believes the new gallery will be well received. And not just by Indigenous visitors. Beck added he’s hoping all people will become motivated after taking in the new gallery. “The idea here is we want to inspire the next generation of hall of famers,” he said. The BC Sports Hall of Fame is open seven days a week. The admission fee is $15 for adults and $12 for students and seniors. 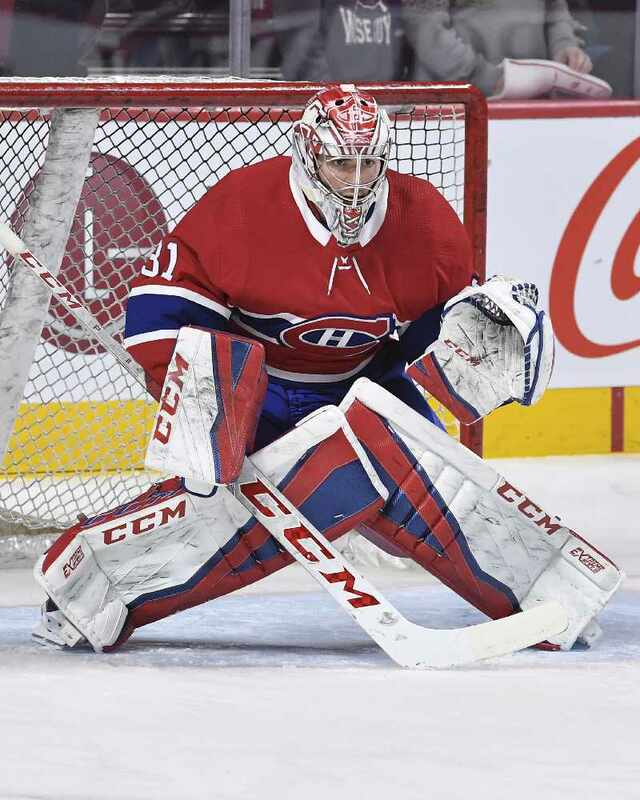 Photo courtesy of Montreal Canadiens for Carey Price photo; courtesy BC Sports Hall of Fame for Lynda and Jerry Price photo, and courtesy Canada's Sports Hall of Fame for Tom Longboat photo.